﻿ » Thus Spake David E.
by David E. Davis, Jr. This anthology is by the late and rather wonderful David E. Davis Jr., the doyen of US car journalism. 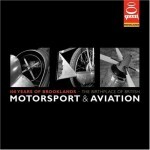 It contains over a hundred articles Davis wrote for Car and Driver and The Automobile magazines between 1962 and 1999. The range of subjects can be gauged from titles such as “ Henry Ford – The Windmills of His Mind”, “ I Drove a Ferrari 275LM from Philadelphia to New York and Found Truth (graunch)”, or “God is my Unindicted Co-Conspirator”, the latter about Ayrton Senna’s bible habit. Davis was a formidably able journalist whose enthusiasm for fast cars, fast women, and good wine lights up this collection, and it is complemented by his trenchant opinions on just about every other subject which creeps into his prose. Charming and abrasive in equal measure, he worked at a time when the US motoring press had massive influence and huge circulation; within a few months of launching The Automobile the circulation was around the half million per issue mark, ten times what a magazine like the UK’s Car now achieves. Incidentally, Davis was an infrequent contributor to Car, and there is no doubt that in its early, and best, years he was a major influence on both its style and content. The majority of the UK’s motoring press was located firmly in the industry’s pocket in the 1960s and Car’s blend of iconoclasm and wit echoed the sheer chutzpah of Car and Driver in its glory years. Davis’ stories range from accounts of fast drives in BMWs across Europe to gossip about the movers and shakers in Detroit, the legendary big beasts such as Ford and Chrysler boss Lee Iaccoca and Corvette grandfather Zora Arkus Duntov. The author adored light and manoeuvrable European cars but this was tempered by his affection for forgotten US cars like the “unsafe at any speed” Corvair and his enduring love for good ol’ boy Jeeps. Motorsport features too, the author’s distinctively lopsided appearance being testimony to the accident in an MG TD which nearly killed him whilst racing at Sacramento in 1955. Davis was close friends with racing legends like Bruce McLaren, Jo Bonnier , Jo Siffert and Pedro Rodriguez, all of whom died in a race car cockpit. 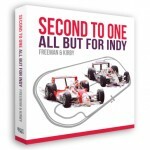 McLaren’s death, especially, devastated Davis and his family to the extent he felt unable to attend a race meeting for over a decade after the Can Am M8’s crash at Goodwood in 1970 but eventually the Indy 500 finally lured him back. “The Fiat X1/9 has now taken the place of the Chevy Vega as the car in which most Americans like to be marooned at the roadside. These poor, benighted little cars, evidently conceived as transport for midget clowns in Italian circuses, have now rusted to the point that one can usually see through them . . . and are coughing their insides out miles from home, all over the Republic”. It has become a cliché to say of anybody we admire from the past that we shall not see his like again. But in Davis case’ I think this is probably true, partly because the glory days of paper journalism are past but mainly because most media cater for a readership that has an inability to read more than 200–300 words, and a preference instead for bite size factoids. And that is a loss I mourn, and I would venture a guess that I am not alone in doing so. Thus Spake David E. is almost 400 pages long and has one section of black and white photographs that I found unremarkable except for the picture of Davis’ Ferrari 328 being hauled away “after a racoon destroyed its interior.” Only in America. . . . The book is out of print but is easily available preowned from online bookstores; typical prices start at $10. Road Trips can also be found preowned with the cheapest copies costing just pennies. Copyright 2016, John Aston (speedreaders.info). The writing crew at “Car and Driver” in the Davis years is perhaps the finest ever to share a masthead: Davis, Weith, Shepherd, Yates, Norbye, McCall and others. They wrote about cars and car people in a new way. They were smart, clued in, hip. 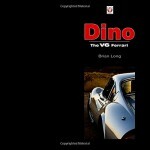 They simultaneously ignited my interest in great cars and great writing. I never met DED, Jr., but I wish I had. Well, we did have an encounter…he ejected me from the “Automobile” magazine private party at Laguna Seca in, I think, 1988. As a charter subscriber I figured I was at least as important as some flak from GM’s marketing department! This is really a great book to get a good sample Davis’ talent, and to use a now cliched but no less appropriate word, passion. Thanks, John, for mentioning “Road Trips, Head Trips.” I din’t know about it until now and I’ll buy it based on your comments!